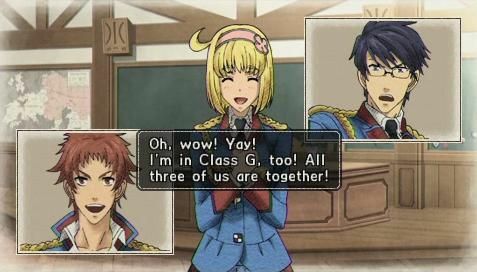 Valkyria Chronicles II is in a bit of a tough spot %26ndash; for fans of the original it was bittersweet when the sequel was announced only for PSP, and the rumored "high school dating sim" angle is definitely worrying to everyone who loved the original's battle-centric gameplay. On the other hand, newcomers may feel the deep strategic battles too daunting to jump into without playing the first, especially since VCII has even more unit types and customization options than the first. Let's clear both of these points up right away. Firstly, VCII is still a deeply strategic, tactical RPG with engrossing battles. The school drama story, while disappointing, is easily ignorable and doesn't detract or take too much focus away from the actual gameplay. Secondly, the gameplay and plot is totally newcomer friendly. The story stands on its own (although there are some cool character cameos for those who played the first), and the tutorials and gentle increase in the complexity and difficulty of battles is perfect %26ndash; not too fast to confuse newbies and not too slow to bore veterans. There's even an easy mode if you're really worried about the difficulty, but be warned that you can't change modes once you've started the game. Most importantly, the battle gameplay is still awesome. If you haven't played the first Valkyria Chronicles, think of it sort of like a 3D third-person Advance Wars with no grid that focuses mainly on different types of infantry units. (So it's really not like Advance Wars at all %26ndash; we just wanted to mention Advance Wars, sorry.) It also has an RPG-style leveling system where you can use experience points to level up different soldier classes as you see fit, and use money to upgrade weapons, equipment, and your super cool tank unit. You start each battle in Command Mode, with a 2D overhead map of the battle field that shows the terrain, enemy and ally camps, your units, and any enemy units visible to your squad members. From here you can assess the overall situation and form your plan of attack. When you're ready to move a unit, selecting it deducts one Command Point (you start each turn with a number of CP) and switches your perspective to Action Mode, where you control that unit in a third-person perspective. From there, you can move a certain amount depending on what type of unit it is and attack once if an enemy is in range. Because of all the variables at play in each battle, strategic options are impressively deep, especially as you get further along. The terrain of each map often presents challenges as well as opportunities for the thinking strategist, and because of your 3D view of the field you can think about your terrain-based strategies in a realistic way ("If I crawl through this grass I won't be spotted by that sniper over there"), rather than only thinking in abstract stats-based terms. The battles feel as real as any turn-based battle possibly could, especially since there's no grid and you can see the battlefield from the perspective of the soldiers. The different types of units also allow you to build squads to suit your personal approach %26ndash; do you prefer quick and stealthy or slow and heavy hitting? The best strategists of course use all the unit types in combination for maximum effectiveness, and experimenting with how each unit works with and against other units is a huge part of the strategy. Since most battles let you pick which six units start the battle and where, the potentials for different approaches can sometimes get brain-hurty (in a good way! ), especially since you can also order units to retreat mid-battle and deploy different units in their place as needed. The biggest downside to Valkyria Chronicles II is that it doesn't quite have the same charm as the original when it comes to the story and characters. That's not to say the original was a masterpiece of narrative (it definitely wasn't), but VCII goes overboard with the anime clich%26eacute;s and high school drama angle, making it feel a lot more generic than the first. Luckily, most of the insipid school drama is skippable, since you have to choose to watch it by selecting to watch events from the overmap, and there's no penalty for only watching main storyline scenes. And even without all the optional cutscenes, there's still more than enough content (over 200 battles!) to sink tons of hours into. The story of Valkyria Chronicles 2 takes place two years after the conclusion of the original game. A group of young Gallian Military Academy cadets find themselves plunged into a bitter civil war when the newly formed Gallian Revolutionary Army stages a coup.